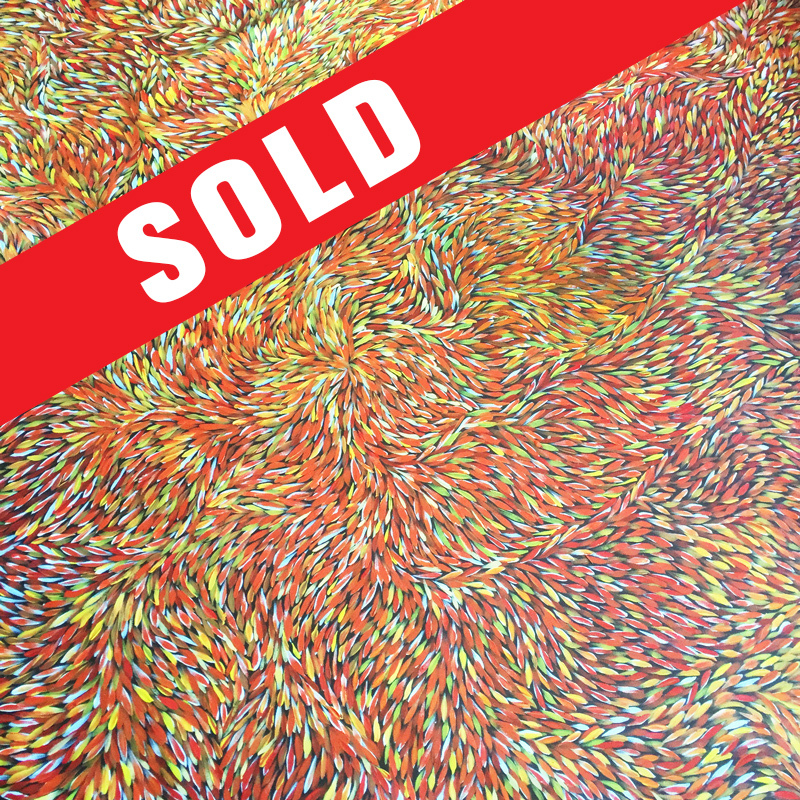 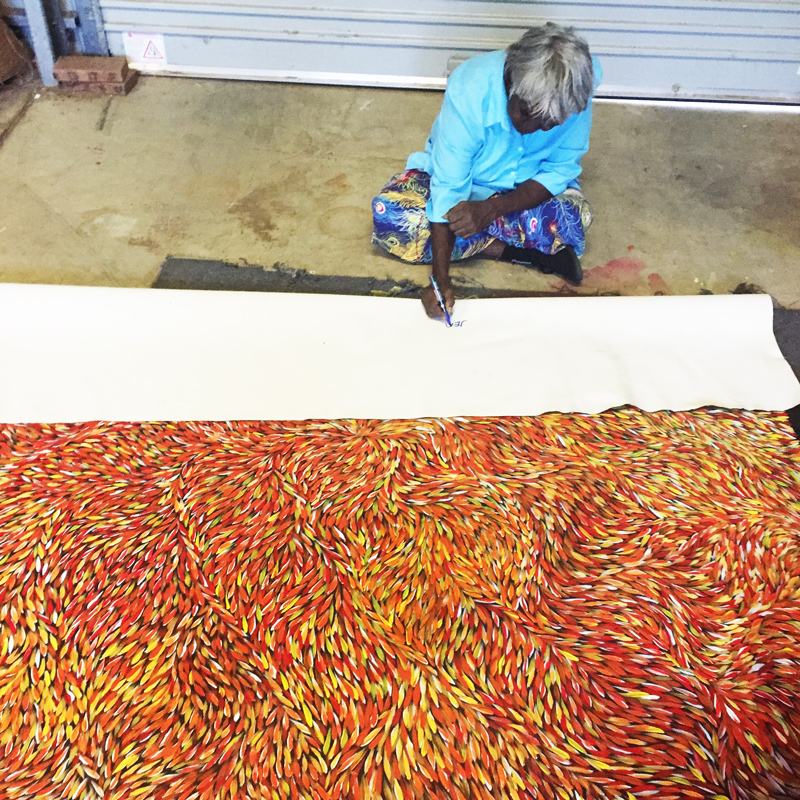 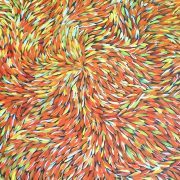 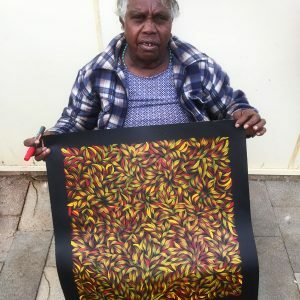 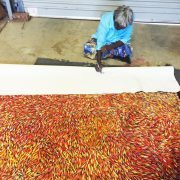 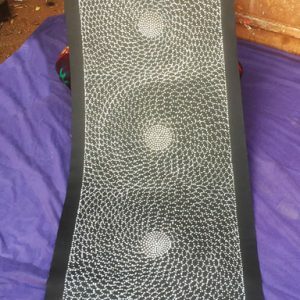 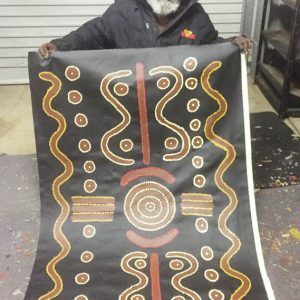 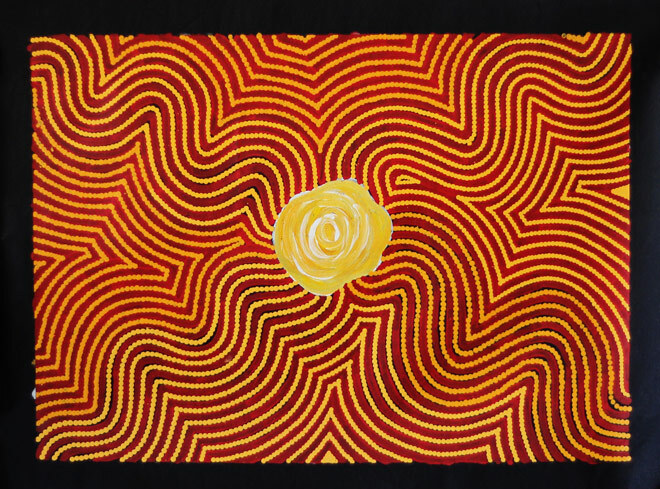 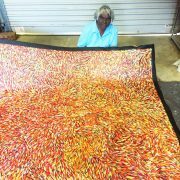 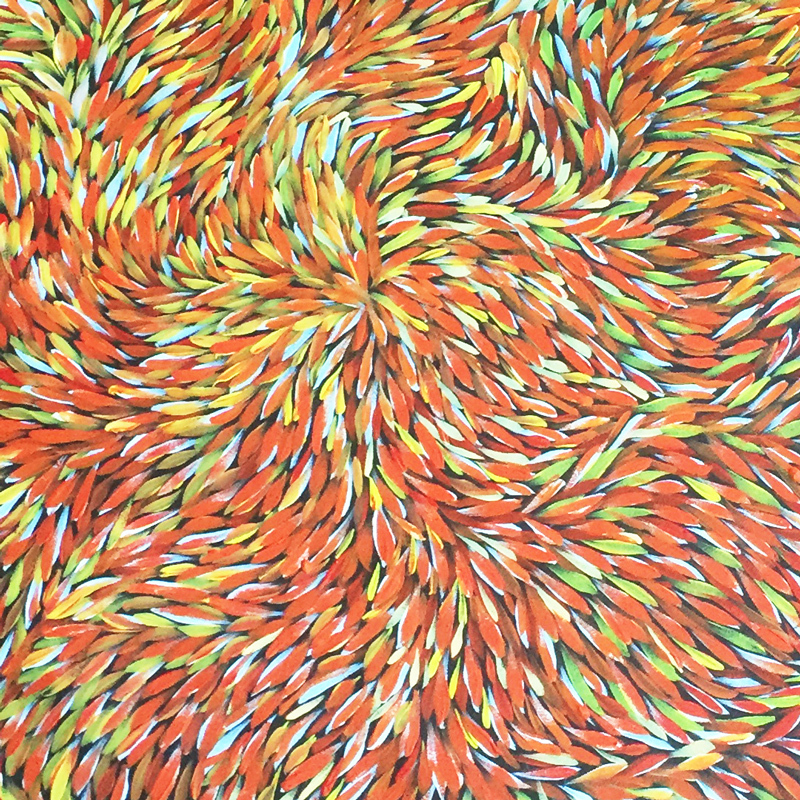 Born in 1950, Jeanna Petyarre (also known as Jeannie Petyarre) is a member of a family of well-known artists that includes Kathleen Petyarre, Ada Bird Petyarre and Emily Kame Kngwarreye. 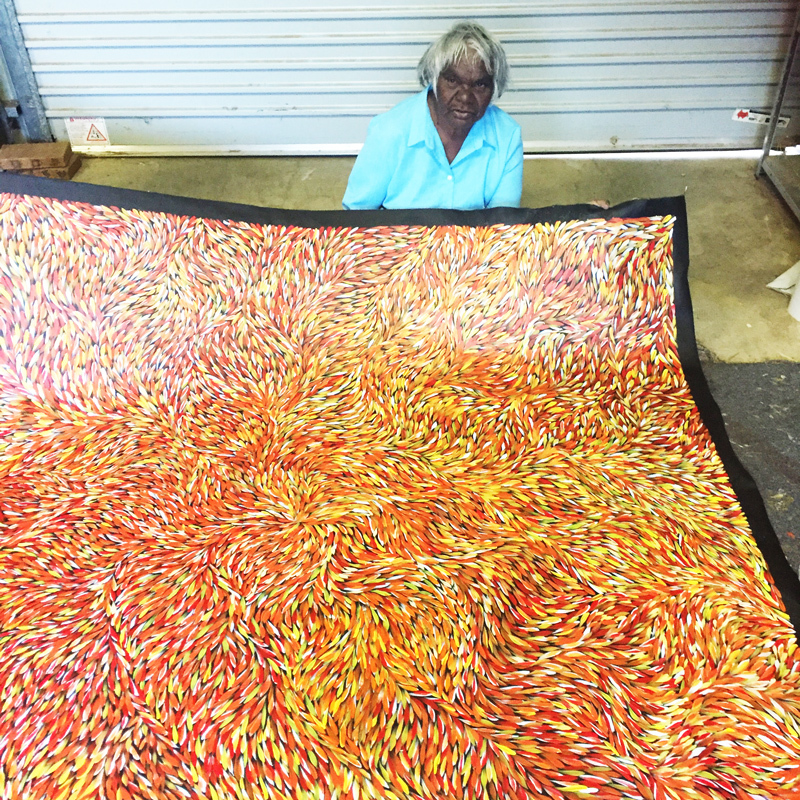 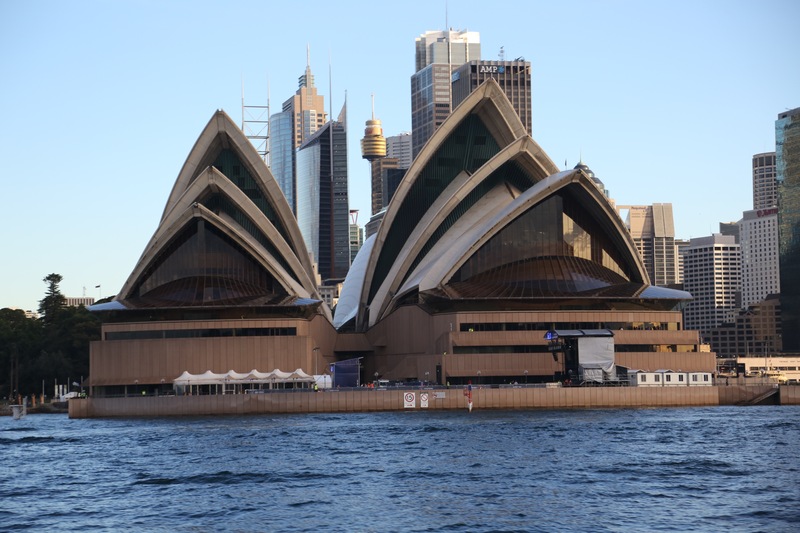 Jeanna Petyarre is from the Utopia district of Central Australia and her works feature in a number of collections including the National Gallery of Australia, Canberra, and the Holmes a Court Collection, Perth, as well as many private collections worldwide. 2006 Cicada Trading, Abu Dhabi, United Arab Emirate.